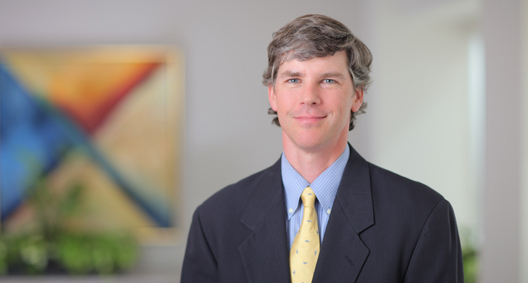 With nearly 20 years' experience as a trial lawyer, Jamie Rollinson focuses his practice on complex commercial litigation. He has extensive experience litigating matters in federal and state courts involving claims ranging from breach of contract and fraud to Employee Retirement Income Security Act (ERISA) violations and avoidable transfers. Jamie also has significant experience handling appeals with a solid record of success. Throughout his career, he has worked extensively with expert witnesses in large, complex matters on a variety of subjects, including business valuation, insolvency, standard of care and damages. As a former prosecutor, Jamie brings invaluable insight, experience and common sense to any case in which he is involved. He strives to find novel arguments and creative solutions to difficult issues in order to achieve the best results for his clients. Leads a litigation team for firm client Irving H. Picard, SIPA Trustee for the liquidation of Bernard L. Madoff Investment Securities LLC, managing the investigations and development of key evidence regarding Madoff’s fraud, coordinating expert witnesses and consultants, and litigating several avoidance action proceedings to recover funds misappropriated by Madoff in the historic fraud. In November 2015, tried the first of hundreds of adversary proceedings, Picard v. Andrew Cohen, et al., before the United States Bankruptcy Court for the Southern District of New York in which the SIPA Trustee prevailed. See Post-Trial Proposed Findings of Fact and Conclusions of Law. Represented numerous clients in matters involving ERISA claims and/or tax-sheltered investment accounts, including successfully prosecuting an ERISA action relating to a defined contribution plan and defending a publicly traded company against ERISA claims. Involved in several internal fraud investigations, including one relating to a broker-dealer kickback scheme between former Ohio deputy treasurer Amer Ahmad and certain broker-dealers. See Report of the Independent Investigative Counsel Regarding the Office of Ohio Treasurer of State Kevin L. Boyce and Deputy Treasurer Amer Ahmad 2009 – 2010. Served as counsel to several whistleblowers of corporate fraud, including a hedge fund’s false representation of its investment strategy and a software company’s misreporting of sales revenue. Led a team investigating the waste and abuse of corporate assets in connection with the collapse of a large hedge fund. Has handled numerous appeals with success, including MDM Realty, Ltd. v. Progress Properties S. Ltd. Partnership, 2007-Ohio-3668, and Klayman v. Luck, 2012-Ohio-4454. CNBC reports on BakerHostetler and the Madoff Recovery Initiative in article Madoff Recoveries Top $10 Billion With New Settlement, "… an amount virtually no one thought possible"
The Wall Street Journal showcases BakerHostetler and the "unprecedented magnitude" of the global recovery efforts in article "The Madoff Liquidation, Three Years Later"